We just uploaded “Release 10” in our servers. It includes many stability fixes for mobile emulation mode. Also we added many new devices including the much anticipated new iPhone 6 & the iPhone 6 plus. The orientation and emulation buttons now look more like buttons making them easier to spot for new users. As many sites took a long time to load we added a loader to let you know that emulation is working in the background while you wait. We have upgraded the hardware of our servers to improve loading times and handle many concurrent users during peak times. You can now use keyboard shortcuts. Use right and left arrow keys to switch to next/previous device in group. Use up/down arrows to switch between landscape & portrait orientation. 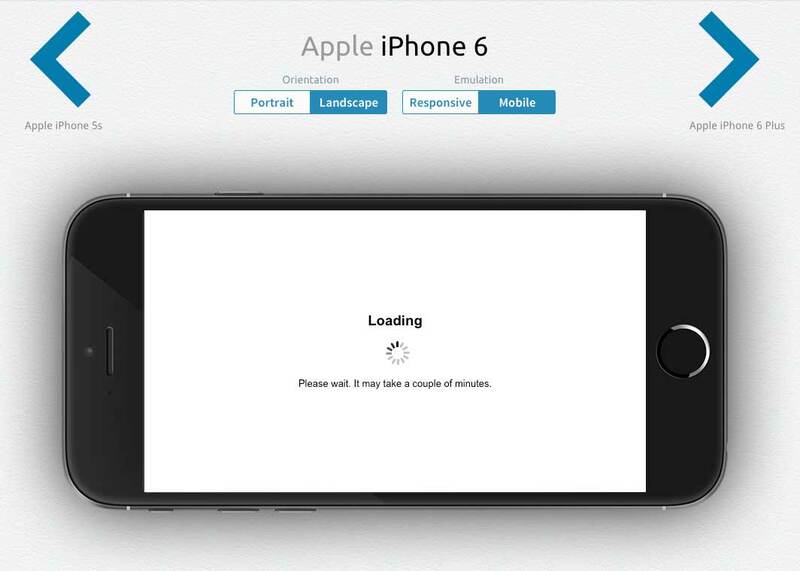 Use the ‘E’ key to switch emulation mode between mobile & responsive. For the next release we are focused on further improving performance in mobile emulation. Our short term goal is to drop long loading times to 20% of current times. We are also creating a showcase tool, which you will be able to use to show your customers how their website looks in many different devices at a glance. Enjoy the new release everyone.